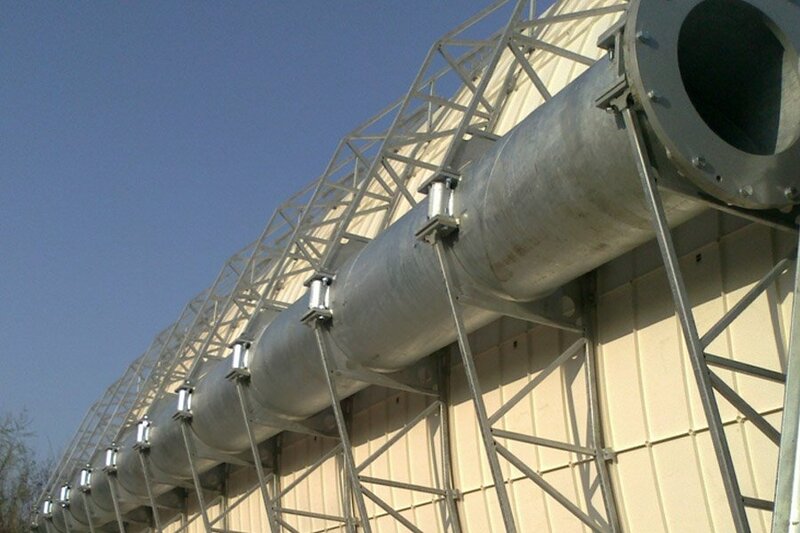 The first facility which operates worldwide through concentrated solar power (CSP) for electricity production. 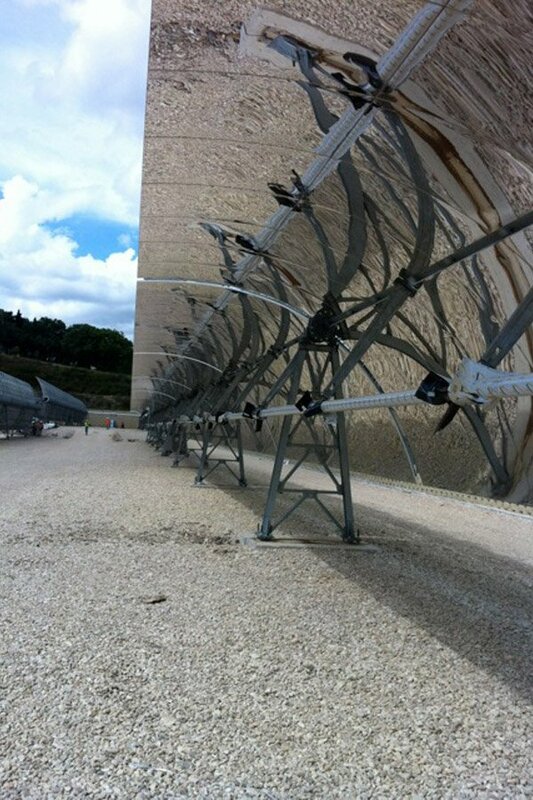 BFR Group is a Partner in the implementation of the first concentrated solar power plant (CSP) working with molten salts at 550 degrees, which was opened in Massa Martana (PG) on 3rd July 2014. 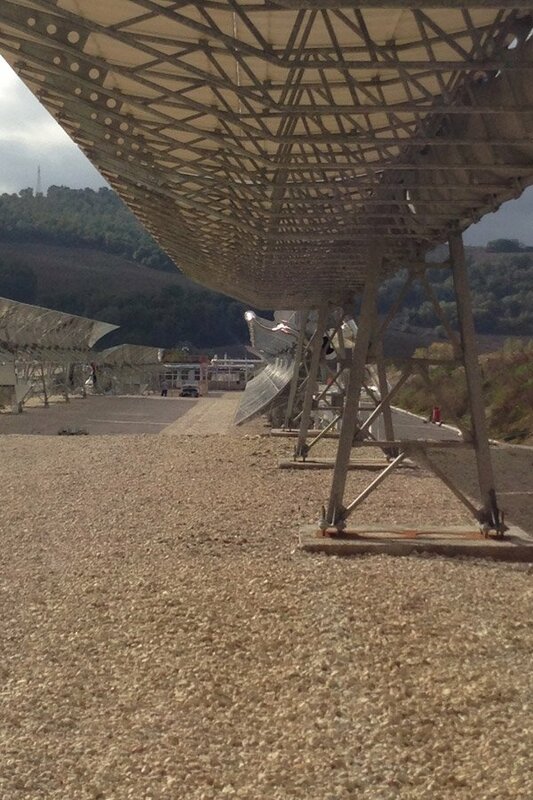 In the industrial area of Perugia, Archimede Solar Energy (ASE) and Chioda Corporation have built the first demonstration plant in the world, which uses parabolic mirrors and molten salts as thermal carrier fluid, based on a concept provided by Enea, with Italian components and Japanese engineering. 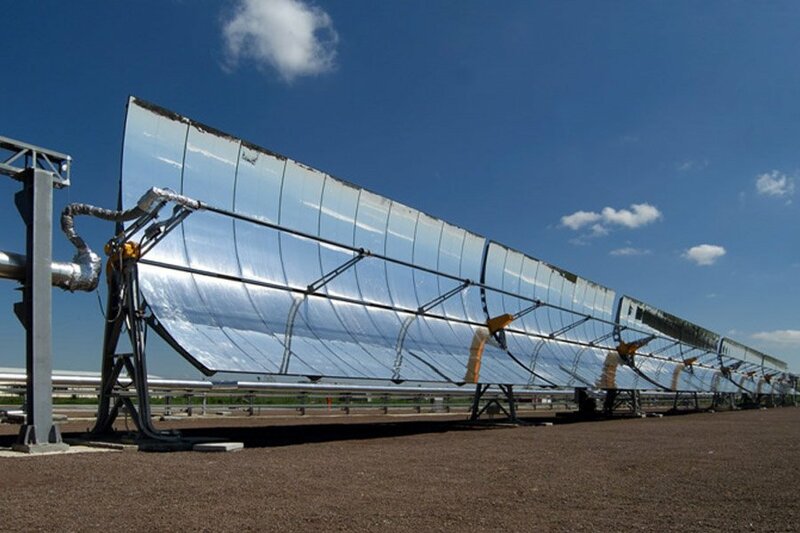 The advantages of molten salts used in a solar thermal power instead of diathermic oil, used in first generation plants are significant: first of all, they allow to reach higher temperatures and therefore a better energy efficiency exploiting exhaust fumes to build heat recovery plants. 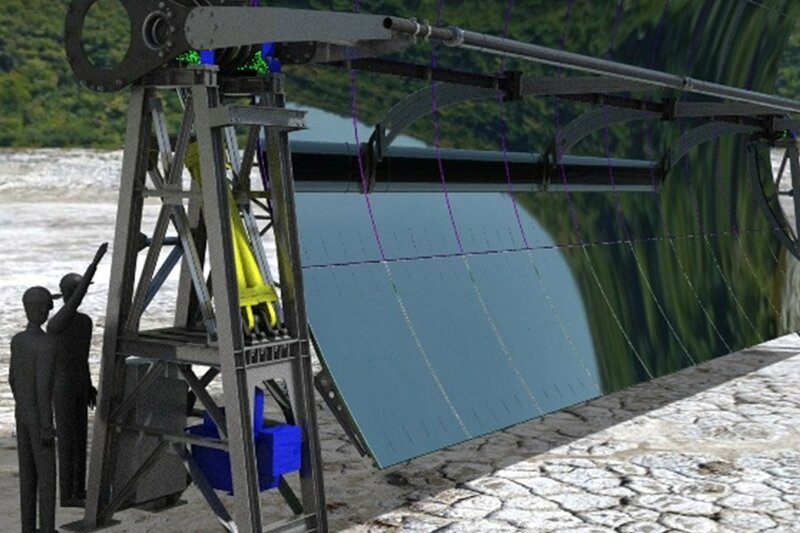 Secondly, molten salts improve the thermal storage capacity of plant, which works even during night or periods of lower solar radiation in order to allow a modulated energy output. These plants used worldwide, which currently product 2 GWatt, are all based on diathermic oil combustion, that is flammable, highly polluting and burns at a temperature of 440 degrees. However, this new experimental power plant, produces energy thanks to molten salt fusion at 550 degrees, operate constantly even during periods of light falling or absence. Furthermore, salts are a natural fertilizer, which makes its storage sure from an environmental point of view. 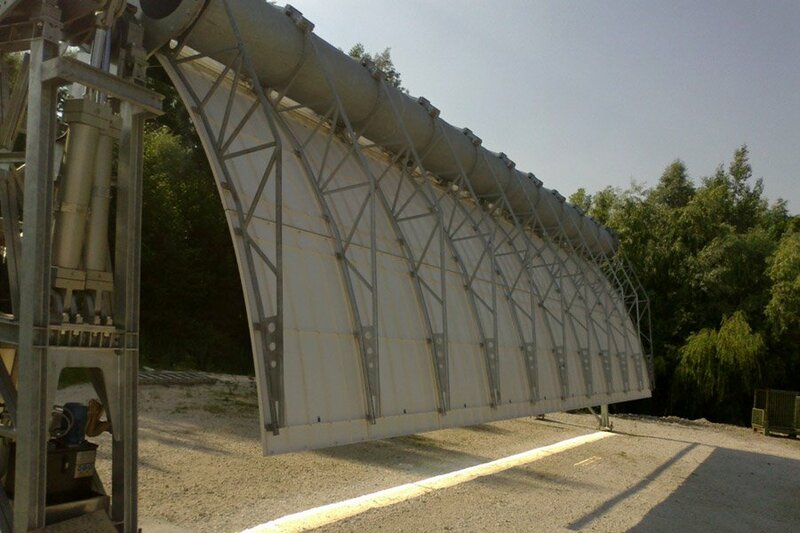 Parabolic mirrors concentrate the rays on tubes in which flow molten salts: these tubes, manufactured by ASE, that is currently the only manufacturer of tubes for molten salts in the world, allow to multiply 80 times the light intensity. Salts are then stored in a high temperature and thermal insulated storage, which retains heat for many hours: from here they are sent to the power plant where, by heating steam which spins the turbine, through a generator they produce electric current. The experimental power plant in Massa Martana, which has been built thanks to Italian companies, stands as an example and opens the way for research on molten salt thermodynamic: in particular, it intends to promote economy, bankability and parabolic plants reliability.